This is the official website of the NEW ZEALAND CHESS FEDERATION INC, the governing body of chess in New Zealand. For information on forthcoming chess events click on our Chess Calendar. Go to the Resources Page for NZCF information, including Registrations, Ratings, Fee Payments, Vega, Arbiters, Titled Players, the Handbook, Master Points, etc. Mike Steadman won last year's North Island Championships in Palmerston North in dominating fashion with a picket fence scoreline. To his credit, Mike is travelling south again to defend his title. This time he will have to get past each of the four "big dogs" (this is Mike's own idiosyncratic term) from the nation's capital, as well as perennial contender Bob Smith and a host of other worthies if he wants to hold onto his title. The tournament (which incorporates the traditional Wellington Easter Open) is being held at the CQ Hotel in downtown Wellington over all four days of Easter. Update: Fifth seed Mike delivered in emphatic fashion, scoring 7.5/8 against a much stronger field than last year, with a FIDE 2448 performance rating and a gain of 40 FIDE Elo points as rewards to go with the prize money and trophy. A report from Ron Lanning of the Franklin CC: On Saturday 23rd March the Franklin CC travelled to the Thames CC to play an interclub match. 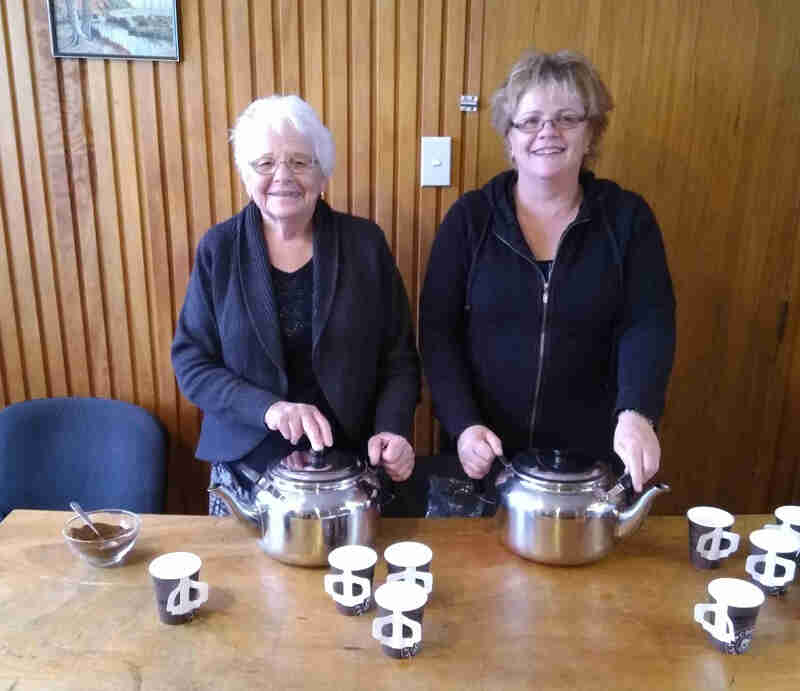 The event was accompanied by a morning tea of biscuits, chocolate eggs, tea and coffee. The Match was officially won by the Franklin team by 6-4 but it was a close run thing, it was 3 games each after 6 games! The Games were played in tremendous spirit and the day was a very enjoyable one for all involved. Interclub matches between the two clubs will be run twice a year. Contact details for both clubs are on the Chess Clubs page. Many thanks to Russell from the Thames Club for organising the match and to Age Concern Thames for allowing us to use their premises. The New Zealand Chess Federation is pleased to announce that we have the opportunity for two young New Zealand players to attend the Australian JETS (Junior Elite Training Squad) camp to be held in Adelaide from July 10th to 14th 2019. Note: Applications close April 15th. For more information and to apply for one of the spots please download the application form. A comprehensive entry form containing all the details about the exciting Tauranga Congress in January 2020 is now available. See the Calendar page. A second issue of the experimental NZ Chess Bulletin online magazine is now available here. 2018 Grand Prix Standings are now available on the Grand Prix page. A total of $6520 of prizes are to be distributed amongst 31 players competing in 10 categories. The Grand Prix is designed to reward consistent good performance in tournaments throughout New Zealand. Ben Hague once again takes out the top prize of $1500. NZCF would like to once again thank the Grand Prix sponsors, Poison Pawn and D & D Financial Consultants, and the people behind those organisations Michael Freeman and Martin Dreyer for their continuing generous support. The official prizegiving will once again be at the Latvian Rapid on March 16th (see the Calendar). If you've won a prize email the NZCF Treasurer Winsome Stretch at secretary@newzealandchess.co.nz to discuss collecting your prize. 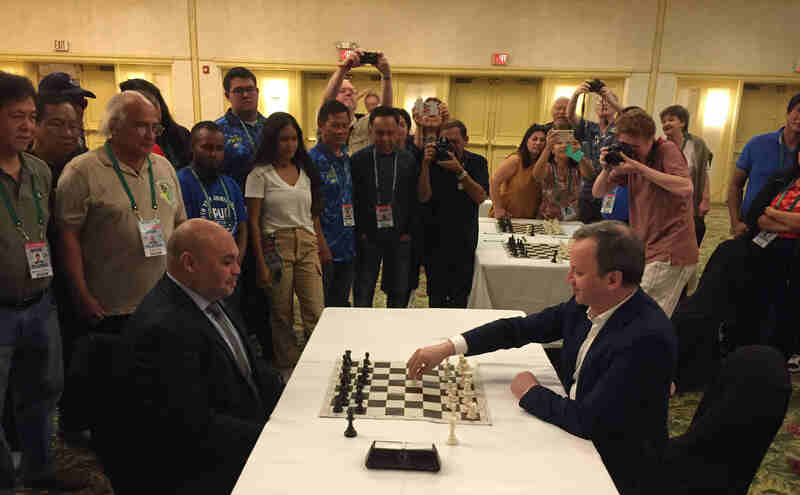 The picture shows FIDE president Arkady Dvorkovich playing the ceremonial first moves against Lt. Governor Josh Tenorio of Guam to mark the opening of the 2019 Zone 3.6 Championships being held there from February 18th to 23rd. As revealed in the pilot (trial?) issue of The New Zealand Chess Bulletin the tournament featured a massive upset in round 1. Happy prize winners set to enjoy some fine Hawkes Bay produce. L to R; Tobey Hughes, Bob Smith, Felix Xie, Evan Capel, William Duncan, Stephen Lukey, Viv Smith and Bernard Carpinter. No doubt Felix will be cellaring his prize for ten years or so. Weekend tournaments in two of the most beautiful parts of the country are a perennial highlight of this time of year. 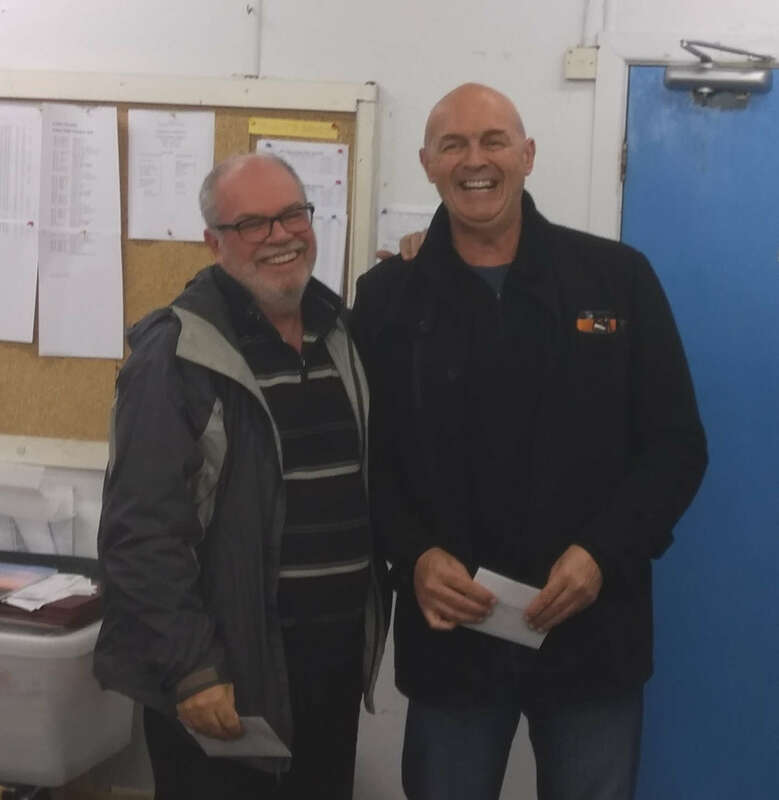 A visitor from the south swept in to pick up first prize at the Hawkes Bay Rapid, see the Results page. Next up is the Bay of Plenty Rapid on February 23rd, see the Calendar page. GM Gareyev puts in the miles as he takes on twelve locals in Wellington. The joint NZ Champions can be seen carefully studying their empty boards. Club Captain Phil Rossiter handles the move calling duties. 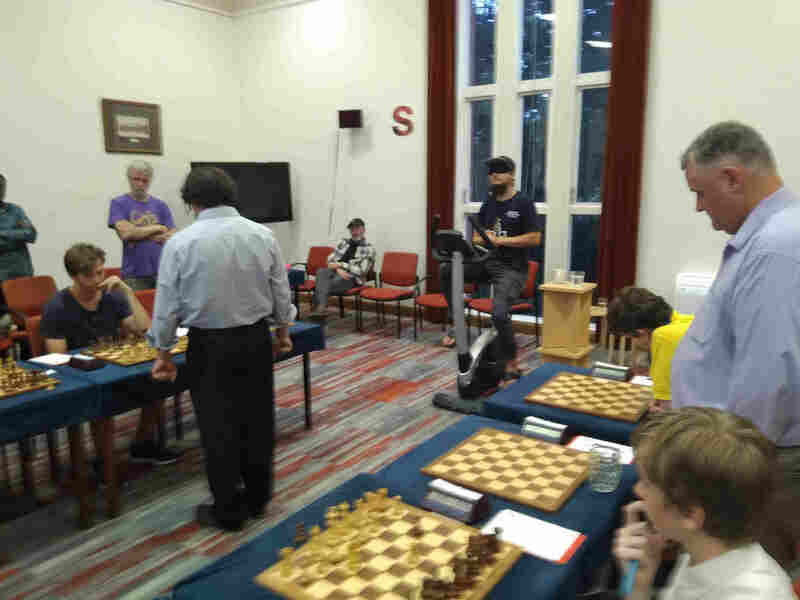 Blindfold king Timur Gareyev took on twelve players in a hastily organised evening exhibition on the first Wellington club night of 2019. Juniors Ryan Winter and Michael Sole managed a win and a draw respectively, while the grandmaster scored eight wins. The other two games were also draws, and were distinguished by the novelty feature of IMs Ker and Dive playing blindfold themselves. On the plus side they did have scoresheets and empty boards but playing without increment was a significant handicap, especially as Russell tried to convert a winning ending. Down to less than a minute, Russell sportingly continued to write down his moves before pressing his clock, and a gentlemen's draw was really the only satisfactory conclusion. Coverage (including a short video) on Stuff.co.nz here. Thanks to Chief Organiser Paul Spiller, hosts Howick-Pakuranga Chess Club, chief sponsor Kasparov Chess Foundation Asia Pacific, Grand Prix sponsors Michael Freeman and Martin Dreyer, plus arbiters Bruce Pollard, Craig Hall and Ying Wang for putting on another great tournament at a great location. The overseas marquee players showed their class. GM Gareyev followed up his unbeaten equal first in the NZ Open with dominant 8.5/9 and 9/9 scores in the Rapid and Blitz respectively. Amongst the locals, the established elite showed they aren't ready to relinquish their grip in classical chess, but a new generation shone in rapid and blitz. All results on the Results Page. The George Trundle and the Oceania Youth Championships are finished. Full results are available on the Results Page. Congress is now complete as well. In the Open Championship Clarke draws in the last round, Gareyev wins to join him as 1st= on 7/9. IMs Ker and Dive both draw to finish as NZ leaders and so joint NZ champions on 6/9. For more see the Results Page. Rowan Wood on Chesschat.org sums up the Rapid Tournament. 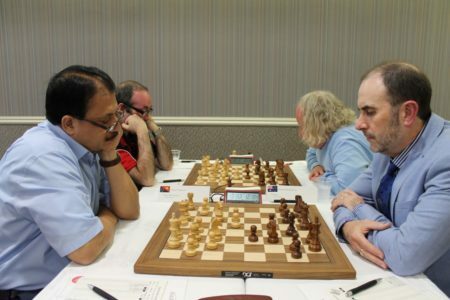 "GM Timur Gareyev has won the NZ Rapid tournament with 8.5 points after he defeated Anthony Ker in the last round. He finished one and a half points clear of three players, including the new NZ Rapid title winner, Ralph Hart. Hart won the title with a win over David Notley. Congratulations. In a surprising second place for the NZ title is Sravan Renjith with 6.5 points. He was undefeated with 4 wins and 5 draws. GM Gareyev was the only other unbeaten player. Renjith won his last round game against Johnson Li. On 6 points, Anthony Ker and Russell Dive." 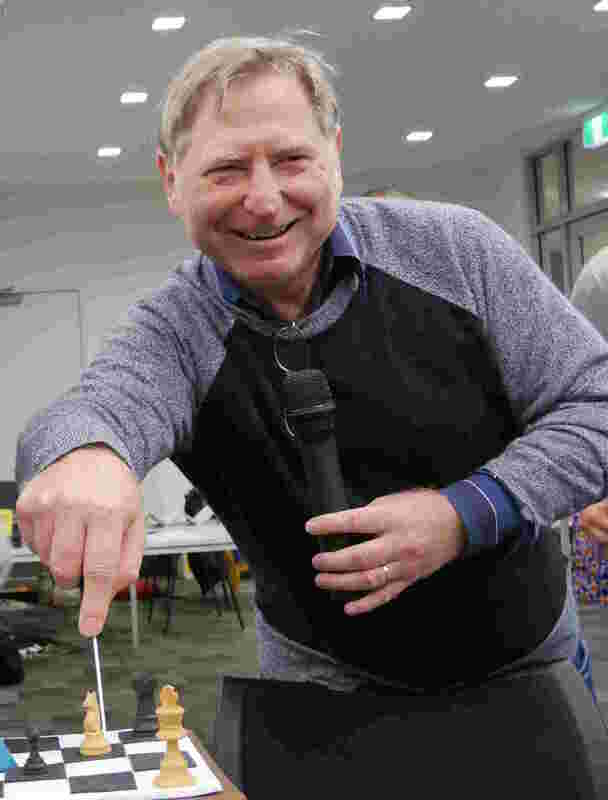 Paul was chief organiser of the 2017 Asian Senior Championships in Auckland, and managed to play as well. He had a tough draw in round 1, but held 2nd seed and eventual outright winner IM Mahmood Lodhi of Pakistan to a draw. Paul has been at the heart of New Zealand chess administration since the 1970s. 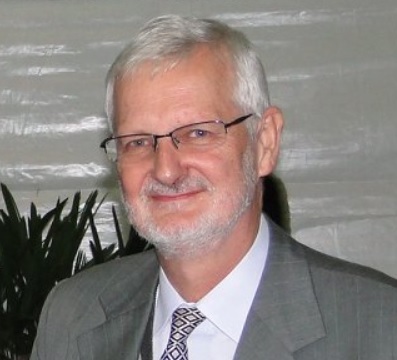 He has been instrumental in three Oceania Zonals and many congresses, including the memorable triplet of Queenstown congresses. Paul is chief organiser of the upcoming 126th NZ Congress, hosted by Howick Pakaranga, Paul's longstanding club. Starting with the Burroughs GM tournament in Wellington in 1978, Paul has helped bring international competition and a host of colourful international competitors to our shores. Paul has served as Editor of NZ Chess, and was NZCF president for eight years. He is currently FIDE Oceania Zone president. Listen to a a short Radio New Zealand interview here. The front page of Chessbase.com is one of the very highest profile online spots in the chess world. It's rare to see New Zealand chess featuring there, so make sure you check out this article, anticipating the 126th NZ Congress coming up soon! New Zealand chess fans, especially Aucklanders or people prepared to jump on a plane, are in for a fantastic holiday season. First up comes the prestigious George Trundle family of tournaments (January 4th-12th). These tournaments are highly regarded by the purist, and showcase classical chess at its best, with a superb one round a day, round robin format. The top players play in the George Trundle Masters grade, there are always interesting visiting masters involved (one of the main ideas of the tournament is to create IM Norm opportunities for the local contingent). 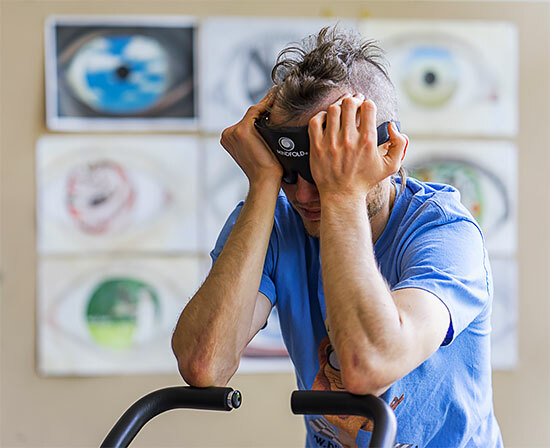 One of the players this year is GM Timur Gareyev, pictured during one of his famous blindfold simultaneous exhibitions (yes he is pedalling a stationary bike at the same time). 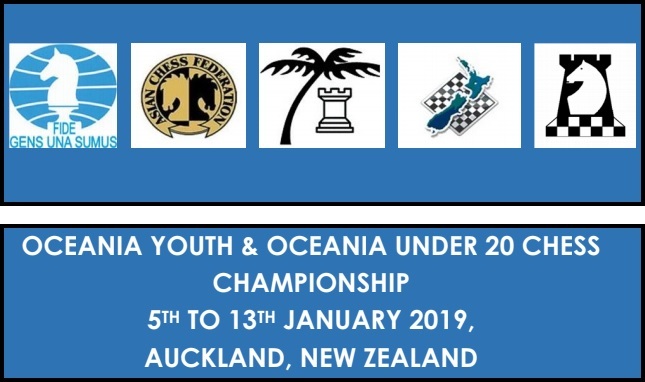 Amazingly Auckland Chess Centre are also running a huge Oceania Youth Championship at essentially the same time (January 5th-13th), at the larger Alexandra Park venue not far away. This is an opportunity for local fans to see the stars of tomorrow. Last but definitely not least is the NZ Open Championship that follows these events, allowing players to play in two big tournaments back to back. 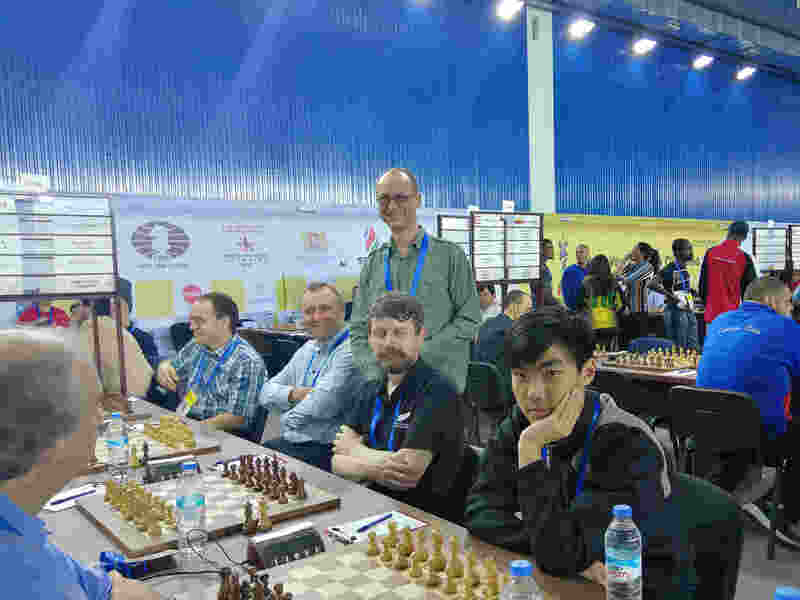 GM Gareyev, GM Vasily Papin (Russia), and strong IM Kanan Izzat (Azerbaijan) are amongst those playing in two tournaments. The Howick Pakuranga chess club are organising this tournament as part of the 126th NZ Congress to be held from January 14th to 24th at the popular Waipuna Hotel. Details of all these events are of course on the Calendar page. 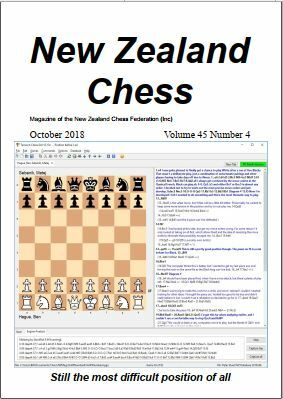 The October 2018 issue of New Zealand Chess is on its way to subscribers, and sadly it's the last issue. There are some silver linings though. Firstly a large and growing collection of the magazines are now freely available to view electronically on this website. Thanks to Philip Hair for labour and Michael Freeman for funding. A permanent link to the collection is now in place on the right, underneath chess clubs. Additionally, if you take a look at the new October 2018 issue as it appears in the electronic archive, you will see that not only can you look at the PDF, you can enjoy all the chess in the issue using an "Interactive" button. The interactive button takes you here. This is homegrown, bespoke technology. It is actively under development and will improve over time. In particular some more work is needed before the interactive edition looks as good and works as well on all screen sizes. If there is sufficient interest shown, this facility will be retrofitted to older issues. And (again, assuming support from the chess community) this will perhaps be a preview of one of the ways New Zealand chess content will be delivered in the future. Note that applications are still being accepted for the three vacancies. Although these players are the official NZL representatives, other NZL players can of course pay their entry fees and play in the tournaments. Further details, including for example eligibility for direct titles can be seen on the Calendar Page. 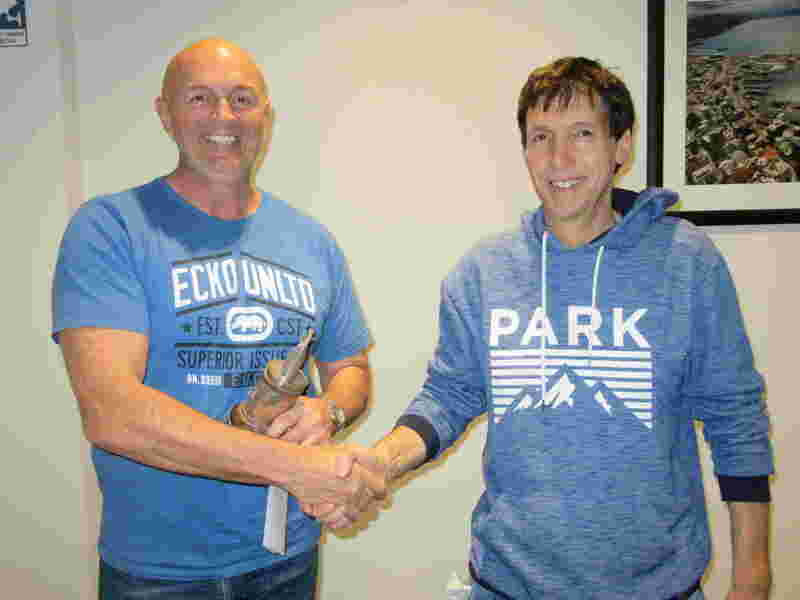 Prolific veterans Mike Steadman and Stephen Lukey were the winners of the recent North Island and South Island championships respectively (results page). It was Lukey's 10th such victory. Both players are providing annotated games for the NZ Chess magazine, which will be made available online here. Currently the most recent ten years of magazines are available, soon there will be many more as Philip Hair is scanning in older copies. Older results have now been restored to this website (see the bottom of the Results page), and Michael Freeman has provided material from the preceding years that will soon be added. Ross Jackson has found some information about the early European career of Ortvin Sarapu that eminent chess historian Edward Winter has published here. Ross McKerras reports that he has made some simple 'chess teaching life' Youtube videos here and here. The website editor would be interested to know if there are any other Kiwi chess youtubers out there. Update: Ryan Winter pointed out this effort from Mark Noble. It's instructive and entertaining. You should consider playing in next year's South Island Championship, it's in beautiful Hanmer Springs. Planning is advanced and an entry form is already available on the Calendar. At the other end of the time spectrum, the popular Merv Morrison weekender was held in mid October, see the Results Page, and the Summit Rapid, a new Auckland one day rapid tournament is now on the calendar, it's being held on November 18th. 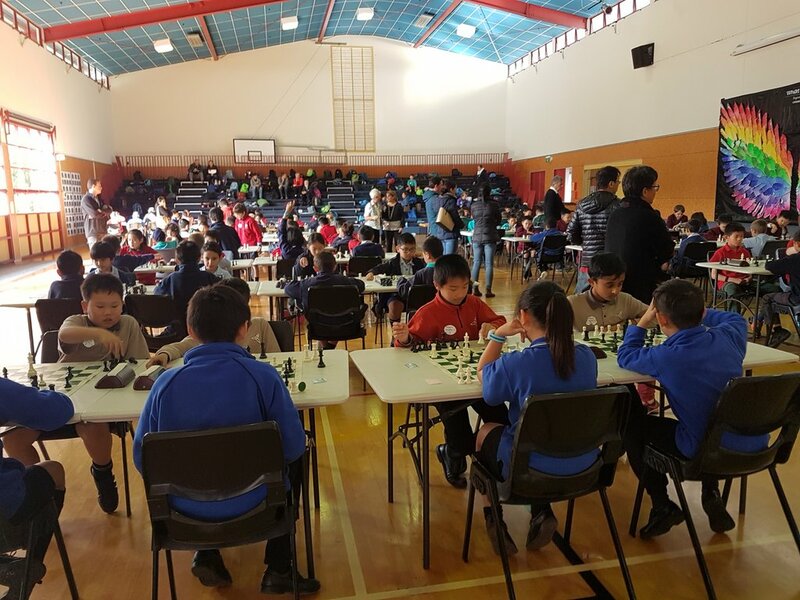 One very significant New Zealand Chess event that inexplicably didn't get a mention in the 'Peak Chess' item a week or so ago is the National Interschools Finals, held at Mt Maunganui on the weekend of 29th-30th of September. This annual event is the culmination of a huge program of regional qualifiers. Organisers Bob and Viv Smith report on the event, and present a heap of photographs on the Interschools Results Page. Some brief commentary was posted here as the event progressed and can still be seen on the Olympiad Page. New Zealand's final performances were very close to par expected scores. China scored a rare double Gold, winning both events on tiebreak. A period of intense chess activity looms up. 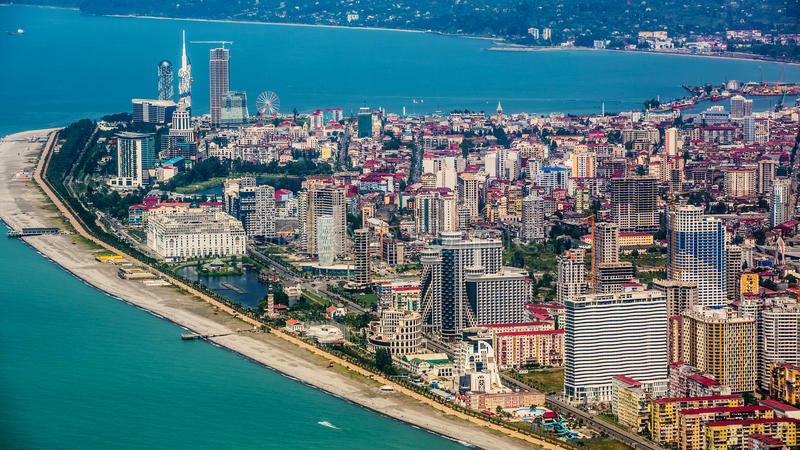 On the international stage our intrepid Open and Women's teams front up in Batumi in Georgia (pictured) for the 43rd Chess Olympiad. The official site is currently extraordinarily useless (it doesn't even tell us when the tournament is going to be held - September 23rd - October 7th), but will no doubt improve during the event. Domestically both the North Island and South Island championships are coming up. The South Island version is being held by the Canterbury Chess Club from 29th September to 3rd October (ironically I got the dates wrong when this item was first posted - sorry) and is sponsored by Benson Insurance Brokers. 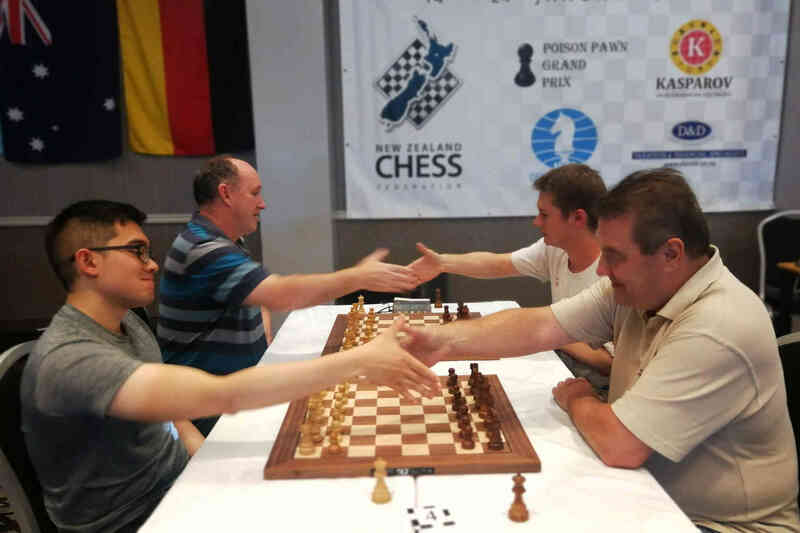 The North Island event is part of a complete chess festival being organised by the Manawatu Knights Chess Club in Palmerston North from 1st to 11th October. The chess festival is sponsored by Millennium Hotels. See the Chess Calendar for more details. Helen Milligan has provided Peter Stuart's final NZ Games Database work-in-progress file (thanks Helen!). The first NZCF supplement to the NZ games database (see previous article) has been completely reworked around this contribution, it's now much more compatible with the conventions of Peter's database. One highlight: Peter included 17 games from a 1979 blindfold simul by Ewen Green in Hamilton. Unsurprisingly it seems this is the Australasian record. Ewen scored an excellent +13 =1 -3. The first serious NZCF supplement to Peter Stuart's NZ games database is now available. See the History Page for more information about the database, and for download links for the database itself and the new supplement. Reaching and then maintaining the curation standards Peter achieved will remain a major challenge, but it is vital that we try and that everything possible is done to record and store for posterity the games played in important tournaments in New Zealand. The current supplement includes games from 21 tournaments in 2017 and 2018. There are missing tournaments and not all tournaments are complete. Some of the gaps might be fixable, but a particular concern is the 2018 NZ Open. Congress is our premier event each year, and it seems that nearly half of all games in the Open (top) grade have been lost forever. Only games that were electronically recorded are available. Fortunately ten electronic boards were deployed, but games on boards 11-19 are missing. If the reader participated in any of these missing games, please help out by sending in a scan of the scoresheet or (preferably) a pgn of the game to Games@newzealandchess.co.nz. This is a new NZCF email address, and has been setup to make it as easy as possible for people to send in games (not just missing games from the last congress!). Players and tournament organisers are encouraged to send in everything from individual games to whole tournaments. Please use .pgn and/or .cbv format if at all possible. All games received will be considered for future editions of the NZ games database. Annotated games will be considered for publication on a new facility on the NZCF website which will be developed to compensate for the cessation of the NZ Chess magazine at the end of the year. NZCF Council have released a consultation document for member Clubs, with a proposal to greatly simplify the way individual players are registered each year. The plan is to abolish $20 player registration fees - from 2019 simply membership of a Club will be sufficient to enable a player to participate in NZCF and FIDE rated tournaments throughout New Zealand. Murray Chandler, NZCF President, said: "Reform has been talked about for years, and I’m pleased we now have a firm proposal on the table. This system is designed to reduce administration all round, and will result in many more players being eligible to participate in rated events, at a lesser cost". 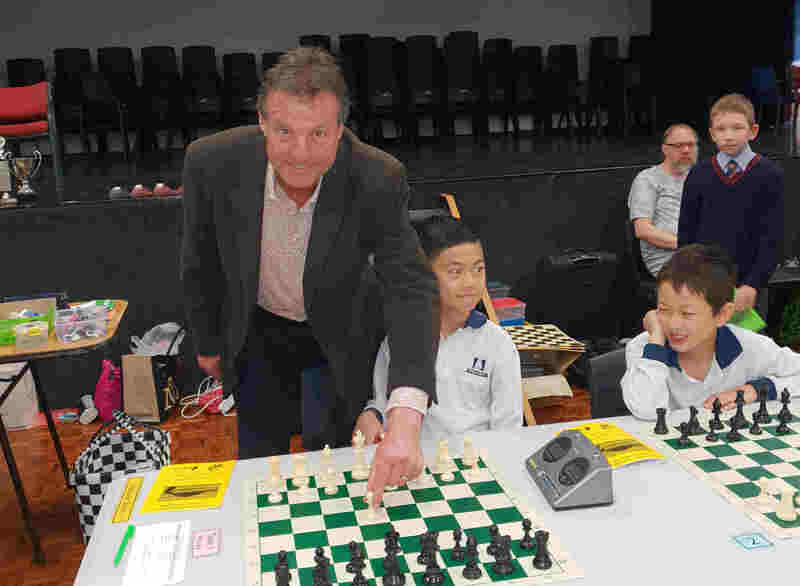 The New Zealand Chess Federation is calling for expressions of interest from Clubs or individual organisers to stage the Interschools Final, 28-29 September 2019. The long-running NZCF Interschools competition is a team event comprised of Regional Competitions staged throughout New Zealand. Around 2500-3000 school children take part each year. The event culminates in the prestigious National Finals staged in the last weekend of September. The North Shore Chess Club has chosen to rename the North Shore Open to the Peter Stuart Memorial. A nice gesture that will no doubt be widely appreciated. Peter was the founder and motivating spirit of this important and popular tournament. The 46th edition, and its first without Peter is in just four weeks time (25th-26th August). You can find the details you need to get your entry in in a timely fashion on the Calendar Page. Please submit bids or expressions of interest by 1st September 2018 to secretary@newzealandchess.co.nz with as much detail as possible on the proposed event, such as intended venue, prize fund, playing schedule and subsidiary events. The annual New Zealand Chess Congress has a rich history, dating back to 1879. The Waipuna Conference Centre (Auckland) will be the venue for the upcoming 126th Congress in January 2019, hosted by Howick-Pakuranga Chess Club. 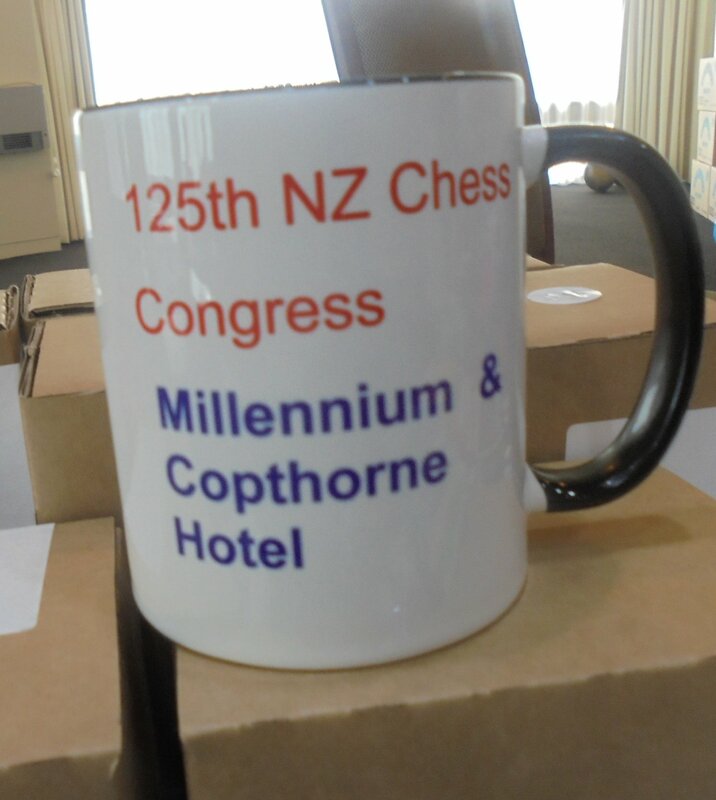 Photo: souvenir mug from the well-organised Congress in Palmerston North, hosted by Manawatu Knights Chess Club last January. This year's Masters grade was keenly contested as always. The tournament ended on a dramatic note. The fate of Ben Hague's IM Norm and first prize depended on Gong-Hague, the final game to finish. Playing Black Ben needed a win for the Norm and lone first place. But for most of the game Daniel looked the likely winner. Daniel let his winning chances slip and eventually it was he who was fighting for a draw. Entering the sixth hour of play the draw was finally clear to all. Daniel to play simply needed to swap queens and the handshake would be inevitable. No doubt demoralised at his missed opportunities, Daniel made an incomprehensible blunder apparently thinking he could delay the trade. But allowing Ben to trade instead made a vital tempo difference to the resulting pawn ending. Game over and a bemused but happy Ben Hague wins the tournament and gets the IM Norm he should have got in last year'e event. See the Results Page for full results. Photo: Tournament organiser Mike Steadman and Gordon Morrell at the prize giving. They were in dominant form in the Qualifers Grade - each scoring +7 =2 -0. NZCF is delighted to announce that our Poison Pawn/D & D Grand Prix sponsorship is now confirmed for the year 2019. The popular year-long competition rewards consistent good performance in tournaments throughout New Zealand. Regional tournaments also benefit, as the lure of GP points helps encourage the participation of top players. Many thanks to our two sponsors for their generous ongoing support: Michael Freeman (Poison Pawn) and Martin Dreyer (D & D Financial Consultants). Both of these individuals also do a great deal of voluntary work behind the scenes for New Zealand chess. The Grand Prix prize fund for 2019 will remain unchanged at $6500 per year, with first prize in the Open section $1500. The Upper Hutt Rapid, held on Saturday 30th June, attracted 75 players, the most for over twenty years. Four of NZ's very best competed in the A Grade, Ben Hague just managed to get over the line. The big four were kept honest by promising local juniors. Layla Timergazi drew with Scott Wastney in the last round and Ryan Winter looked ominously at home on the top boards, playing three of the top four, holding Ben comfortably and nearly tipping over Anthony Ker. Full results on the Results Page. Photo: Anton Reid's wife Nora and daughter Helen have been helping out at this tournament for over forty years. The Upper Hutt is old fashioned, in a good way. Where else in NZ chess do you get endless free coffee and tea poured for you? - with a generous assortment of Kiwi favourites like Mallowpuffs, Toffee Pops, and Tim Tams to boot! Although anyone from a FIDE Zone 3.6 Federation can participate, there are two "official" places available to New Zealand at this World Championship qualifying tournament (one place for the Open Championship and one for the Woman's Championship). These two official representatives are entitled to free entry and free room-share accommodation. New Zealand players who wishes to apply for selection for one of these official spots can do so by emailing secretary@newzealandchess.co.nz by 30th September 2018. Selection results will be notified by 15th October. 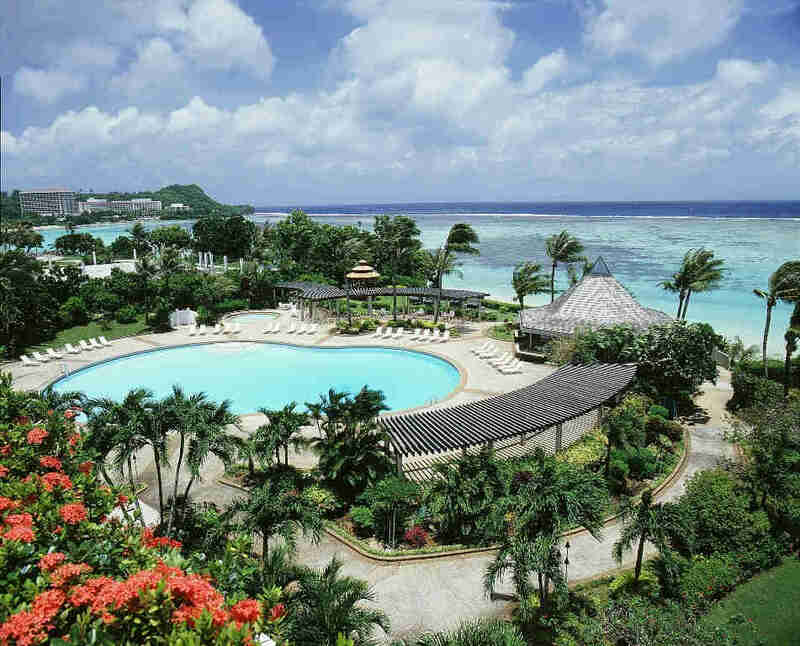 For details on how to enter the Guam Zonal, see our tournament calendar page. Photo: The hotel where the tournament is taking place. Nice. Upper Hutt Rapid - Coming Soon! One of New Zealand's most popular and long standing tournaments is fast approaching. The tournament is on Saturday 30th June but entries after Monday 25th incur a late fee. The tournament is a Class 1 Grand Prix event, and features four separate grades and a $1400 prize fund. See the Calendar Page for more details. Thanks to Anton Reid and his team for putting on the tournament so successfully, for so long. Photo: Last year's A Grade winner Scott Wastney collecting his cheque. Northland, Gisborne, Nelson/Tasman, Marlborough, West Coast and Southland. Applications from both clubs and individuals are welcome, to be sent to secretary@newzealandchess.co.nz by June 30th 2018. Existing regional organisers will be contacted automatically. Last year over 600 school teams participated in the official NZCF Regional Qualification events. 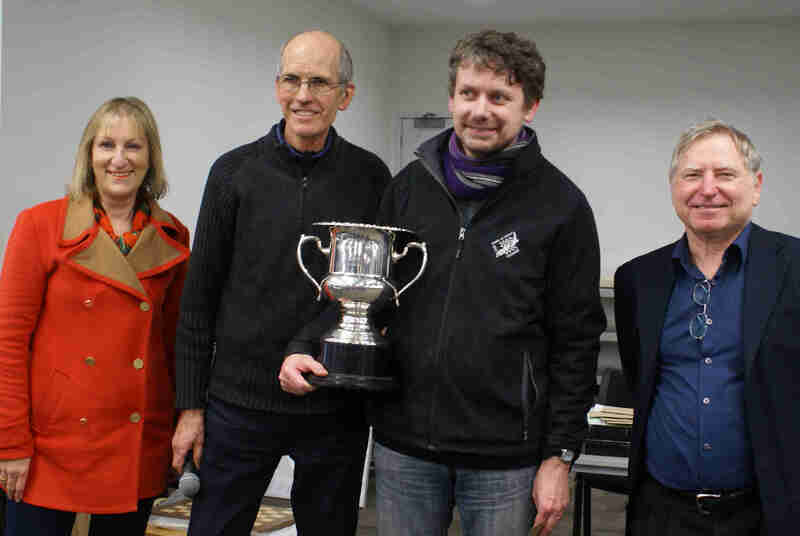 Top teams qualify for the New Zealand Chess Federations National Finals, staged each year at the end of September. A near record breaking 113 players turned up for New Zealand's biggest weekender in West Auckland on Queen's Birthday Weekend June 2nd-4th. The picture tells the story as many time NZ Champion Anthony Ker took the A Grade trophy back to Wellington. Anthony's tournament room-mate Russell Dive had brought the trophy up for the weekend. 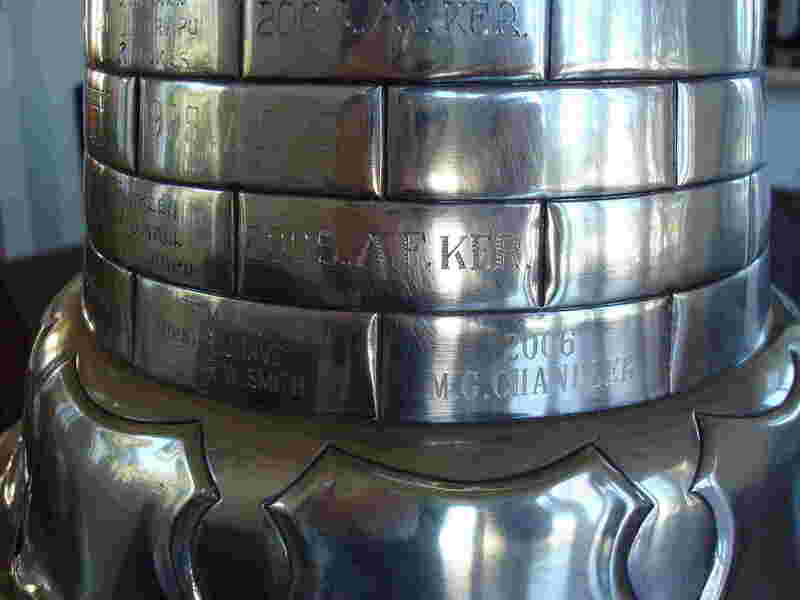 The organisers sensibly didn't trust Anthony to get the trophy engraved, so it does stay in Auckland for a short while longer. Anthony was the first to admit his tally of 5/6 owed a lot to a supremely well judged Swiss Gambit as you can see in the full results via the Results Page. 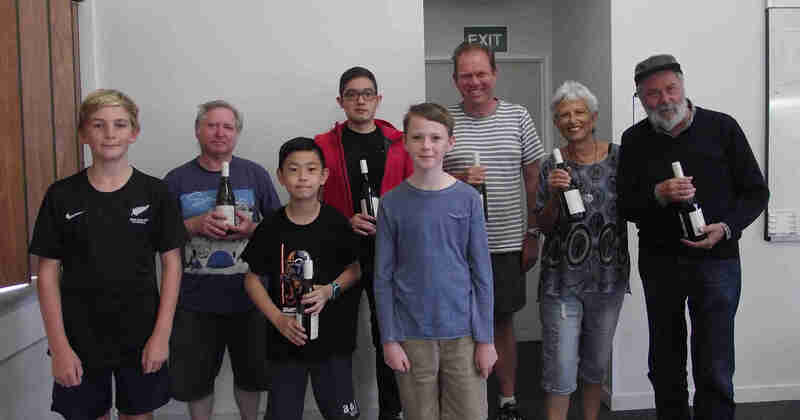 The picture also features Trusts Community Foundation representative Linda Cooper, Waitakere Chess Club President John Francis, and founder and chief organiser Bob Smith (who shrugged off the burden of organisation to make a very impressive result as 2nd= with Mike Steadman, Ben Hague and Alexei Kulashko on 4.5/6). 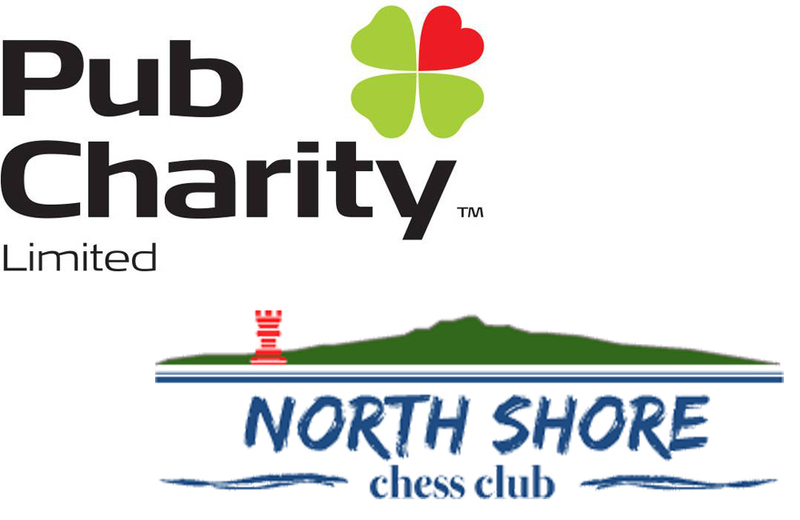 Helen Milligan of the North Shore Chess Club has got in touch to report that the club has received $3985 from Pub Charity Limited. They plan to spend the money on a computer, printer, and 60 LEAP FIDE-approved clocks. This will expand North Shore's ability to run Interschools and other large junior (and indeed all other) events. Club officials elsewhere should take note. There are many other trusts and charitable organisations that make grants to worthy community initiatives, and chess clubs can make a good case that they are deserving recipients of this kind of largesse. New Zealand's biggest (and best? - perhaps we shouldn't be the judge) weekend open is coming up fast. You can't enter on the day, so don't leave it to the last minute, get your entry in right now. All the details are on the Calendar Page. The picture shows founder and chief organiser Bob Smith cutting the 40th Birthday cake last year. (Shouldn't that be 39th birthday? - there are only two fundamental problems in the universe; death, taxes and off by one errors). Bob and Viv haven't lived in Auckland for several years, yet this great tournament is still very much their baby. Chess in New Zealand is absolutely dependent on the hard work of dedicated people like Bob and Viv. 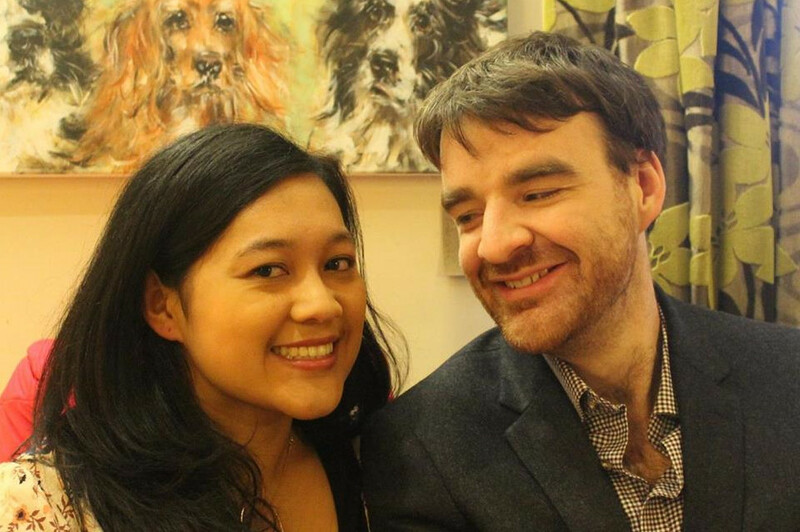 English GM Gawain Jones, pictured here with wife Sue Maroroa, is of course a great friend of New Zealand Chess. These days Sue plays for England too. At least she still supports the All Blacks :-) Who knows, maybe the change from NZL to ENG is temporary and eventually Gawain and Sue will come home and live in New Zealand! In the meantime we'll happily settle for occasional visits to family and friends. One is coming up this month and during their time here Gawain will be playing a simultaneous exhibition at the Howick Bowling club on May 29th. If you get in quick you can play! Details are on the Calendar Page. Eagle-eyed visitors to this site may have noticed a new section. The NZ Chess History Page is a new project. The idea is to create a digital archive that captures the most important history of chess in New Zealand in one well organised place. The page as it exists at the moment serves just to establish a starting point. As the old story says, the longest journey begins with the smallest step. Hopefully in time we will have very complete records of major tournaments in New Zealand, a great collection of photographs, PDFs of recent NZ Chess magazines and scans of older magazines, and a host of other material. Making this possible will require some newer website technology, some wider collaboration, some things we haven't even thought of yet. Stay tuned. 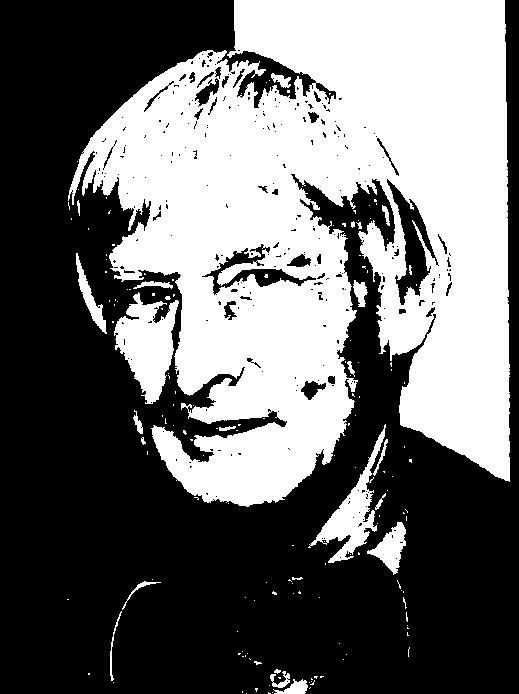 Important Update: NZCF has obtained permission to make the games database curated by the late Peter Stuart freely available. Check the history page for more information. NZCF is pleased to announce that Brazilian IM Herman van Riemsdijk has agreed to take the role of Women's Team Captain for Batumi 2018. 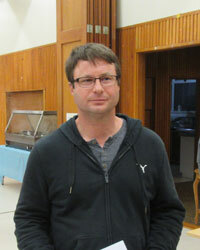 Herman is a frequent visitor to NZ and is very familiar with the NZ chess scene. Many NZ players have had the opportunity to meet him or play against him during his visits here. He has had considerable Olympiad experience as a player for Brazil and we are sure that his input will be invaluable to the Women’s team, both before and during the Olympiad. There's more Olympiad information on the Olympiad Page. A new Grand Prix season is under way and 2018 GP administrator Michael Freeman (also a sponsor let's not forget) has posted the first report here (pdf document). Amongst the cast of "usual suspects" some notable performances catch the eye. Ben Hague (of course!) jumps out ahead to his customary leading position in the Open field. Alphaeus Ang is his closest challenger in the Open and heads the Junior section. A less familiar name to many will be Wellington 15 year old Ryan Winter who locals have enjoyed watching take giant strides recently. Actually enjoyment isn't really the right word for it when you're on the wrong end of defeat as your web administrator found at the Wellington Open. Ryan is second in the U2100 section and near the top of the Junior section. There's more information about the Grand Prix on the Grand Prix page. There's also pictures of 2017 prizewinners picking up their prizes on the Facebook page. Thanks as always to the Grand Prix sponsors, Poison Pawn and D & D Financial Consultants, and the people behind those organisations Michael Freeman and Martin Dreyer for their continuing generous support. An archive of all NZCF website front page stories since 2007 is being prepared. If it's not in place by June 1st, feel free to complain the website administrator!